Orange, NJ- November 9, 2018- Putting the spotlight on the work of leaders and changemakers in the City of Orange and surrounding communities, HANDS is hosting its 19th Annual Community Leadership Awards: Building Together. 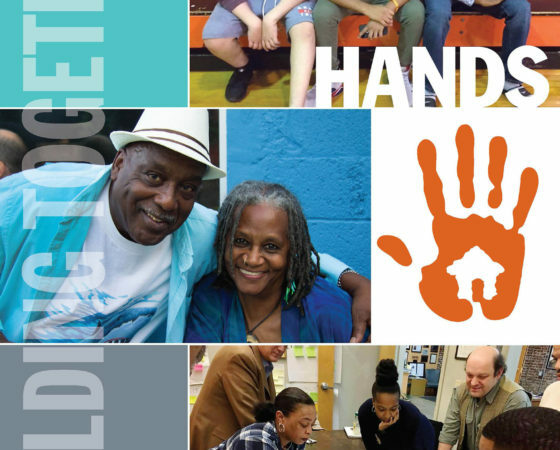 Since 1986, HANDS has been dedicated to empowering the residents of Orange. This year’s event on November 29th at 6pm will be in the Heart of Orange at the Church of Epiphany and Christ Church,105 Main Street. With this year’s theme, “Building Together,” HANDS looks to engage those who live and work in the community, highlighting the progress that has been made to amplify neighborhood voices and elevate the quality of community life in Orange. Moving towards the vision of a just and beautiful city, HANDS continues to involve residents, business owners, municipal officials, and other stakeholders to use their assets and strengthen their capacity to bring real, impactful change in the city. Community empowerment works in tandem with HANDS’ development work to improve the built environment by repurposing vacant, deteriorated buildings for homeownership, affordable rental space for living and creative small businesses and improving open space. The community is invited to join HANDS in this community-affirming event, in honor of those acting for the greater good. Tickets are available on Eventbrite. Call HANDS at 973-678-3110 x 26 for ticket inquiries and volunteer opportunities. Prime sponsors for the event are Prudential Bank, Valley National Bank, and Lowenstein Sandler LLP.